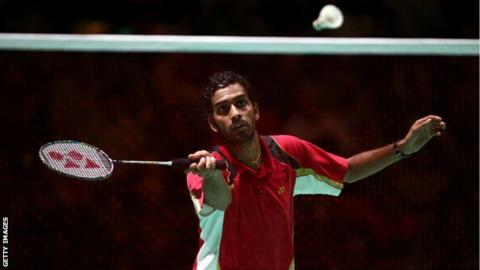 England number one Rajiv Ouseph won the Swedish Masters to lift his first tour title for two years. Ouseph, 28, beat Spain's Pablo Abian 21-15 21-17 for his first world circuit success since the 2013 Finnish Open. "It was great to get the win," said the world number 24. English duo Sophie Brown and Kate Robertshaw lost to Russia's number two seeds, Anatasia Chervyakova and Nina Vislova in the women's doubles final, going down 17-21 23-21 21-14. Meanwhile, Scotland's Kirsty Gilmour retained her women's singles title. Will Watson reach her potential? Read more on Will Heather Watson reach her potential at Australian Open?